When I saw this happening by my garage it freakin’ BLEW MY MIND! 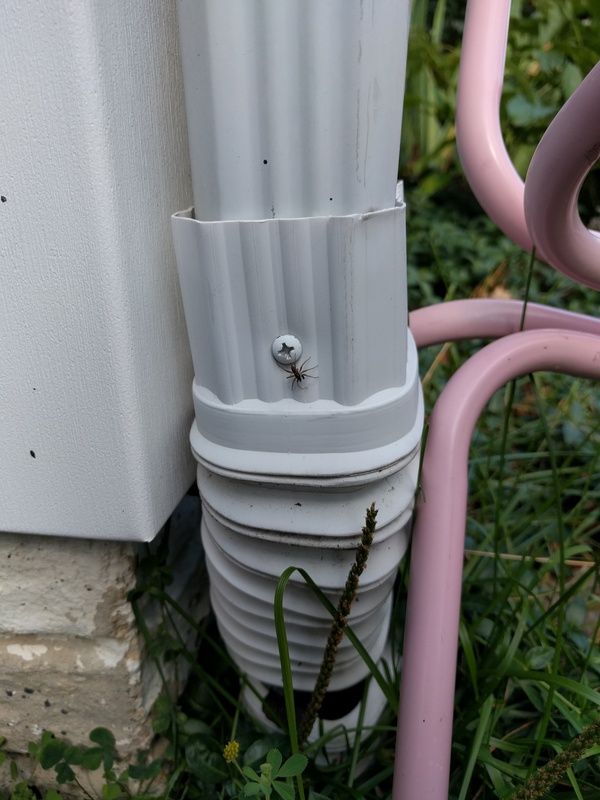 As a kid who grew up in America, I’d heard about spiders and their proclivities for climbing water spouts via kiddie propaganda – aka Nursery Rhymes. But I’d NEVER, in my 30+ years of life, actually seen a spider climbing a water spout before. I have never seen this before and it blew my mind! I did not stay long enough to see if the rain would wash the spider out and if he would climb again if the sun came back out. I’ve got stuff to do, I’m a grown up! WITH KIDS, EVEN!